Everything in Bill Shaw’s life changed the moment he met the beautiful actress Nora Reyes. But as a writer, he feared their love story would have a tragic ending. Fifteen years after that fateful encounter, Bill is in the DA’s crosshairs: his research for a novel has eerie parallels to the circumstances surrounding Nora’s death. In a harrowing progression of events, a murder trial ensues. What exactly did happen between Bill and Nora the day she died? And what constitutes truth? Fiction and fact coalesce, as the lines between fantasy and reality, guilt and innocence are blurred. 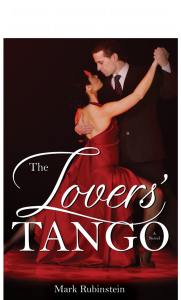 The Lovers’ Tango, a story of deeply abiding love, culminates in a shattering conclusion addressing devotion, commitment, and the meanings of truth and justice. 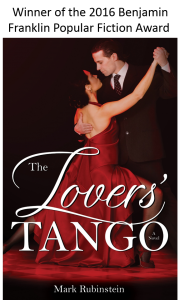 What is the significance of the tango in the novel? Do you agree with the jury’s verdict in the trial of Bill Shaw? Why? What inspired Bill to write Assassin’s Lullaby? Was Bill’s trial a search for truth, or a war game between the attorneys? To what extent do our wishes influence our perceptions of reality? What would you have done in Bill’s circumstances? Why?